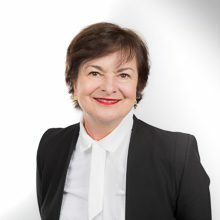 Teresa Giovannini is a founding partner of LALIVE (1994) specialising in international arbitration (including setting aside proceedings with the Swiss Supreme Court), as well as art law. She has participated in more than 170 international arbitrations (115 as arbitrator, including 81 as presiding or sole arbitrator), either ad hoc, in particular UNCITRAL, or administered by various institutions including AAA/ICDR, ICC, ICHEIC, ICSID, LCIA, SCC, Chamber of Commerce of Milan, Chamber of Commerce of Venice and Swiss Chambers (Geneva, Zürich and Ticino). Her areas of specialization include disputes relating to procurement contracts, sales, license, agency, joint venture and shareholder agreements in a wide range of sectors, in particular infrastructure projects, aviation, transfer of technology, construction of turnkey factories, pharmaceuticals, insurance, luxury goods and arts. Teresa Giovannini is a member of the ICC Court of Arbitration and the ICC Commission on Arbitration and ADR since 1 July 2015. She was a member and vice-president of the LCIA Court from 2006 until 2011 and a member of the Arbitral Council of the Milan Chamber of Arbitration from 1997 to 2005. Teresa Giovannini is also a member of several panels of arbitrators, including the ICC Swiss National Committee, the panels of the ICDR, the Beijing Arbitration Commission (BAC), the CIETAC, the CRCICA, the DIAC, the ICHEIC and the LCIA. Since 2012 she has been included on the ICOM-WIPO List of Mediators with specific expertise in art and cultural heritage. She is currently a member of the global advisory board of the New York International Arbitration Centre (NYIAC), a member of the Council of the ICC Institute of World Business Law, the International Law Association Committee on Arbitration (Swiss Member), the Board of Directors of the American Arbitration Association, the Advisory Board of the Transnational Arbitration Association, the LCIA Company and the Club of Arbitrators of the Milan Chamber of National and International Arbitration. She furthermore presides the ICDR Committee on Ethics. Mrs Giovannini is a member of many other professional associations, including ASA (Swiss Arbitration Association), the Swiss Society of International Law, the Swiss Society of Jurists, the Comité français de l’arbitrage, the International Arbitration Institute, the International Arbitration Club, and the International Bar Association (Arbitration and Art, Cultural Institutions and Heritage Law Committees). Teresa Giovannini is also a frequent speaker at international conferences on international arbitration as well as the author of many publications in the field of international law and arbitration. She has been ranked for many years by Chambers Europe and Chambers Global for Dispute resolution – Arbitrators for Switzerland, as well as in the International Who’s Who of Commercial Arbitration. She has recently been listed among the Best Prepared/Most Responsive Arbitrators by the Global Arbitration Review (GAR). Before joining Lalive Budin & Partners in 1985, Teresa Giovannini trained in Rome (Chiomenti & Partners, 1983-1985) and in Geneva (Turrettini & L’Huillier, 1981-1983), after having worked as a legal counsel in Geneva (University Hospital, 1977-1981) and in Freiburg (Public Health Department of the Cantonal Government). She graduated from the University of Freiburg in Switzerland and studied at The Hague Academy of International Law (1974). Teresa Giovannini advises on international arbitration and draws praise from peers and clients for her work as an arbitrator. She is experienced in matters pertaining to the pharmaceutical, construction and energy sectors. Teresa Giovannini is exceedingly well versed in international arbitration, and wins praise for her great “dedication and professionalism”. Teresa Giovannini earns praise for her experience as an arbitrator. She has acted on matters across the world, including Paris, and has recent experience of construction cases. Teresa Giovannini is “well regarded by all who have seen her in action”, and her experience encompasses more than 160 international arbitrations, including over 110 as arbitrator, 80 as presiding or sole arbitrator. Teresa Giovannini is “very well known” for her arbitration practice, which sees her representing clients across the globe. Teresa Giovannini is a “formidable lawyer” who specialises in dispute resolution relating to procurement contracts, sales, licence, agency, joint venture and shareholder agreements. Teresa Giovannini is a well-established figure in this area, winning recognition for her skills as an arbitrator. A “greatly respected” lawyer with experience in dispute relating procurement contracts, sales, licence, agency, joint venture and shareholders agreements. Praised for her “impressive skill set”; she has acted in more than 150 international arbitrations. Teresa Giovannini is widely respected as an experienced and savvy arbitrator. Her impressive market standing is shown by her membership of a plethora of arbitration panels, including her position as a member of the board of directors of the AAA and ICDR. Founding partner Teresa Giovannini is commended for her ‘personable approach'. Teresa Giovannini is ‘very well known' and a veteran of more than 140 international arbitrations as counsel and arbitrator. New-York 26/09/2017 Teresa Giovannini Speaker: Drafting an arbitral award: which drafting style? 33rd Joint Colloquium on International Arbitration : Commercial and Investor-State Arbitration: Towards Convergence? Fifteen Annual Review of the Arbitration Act 1996: Enforcement of Arbitration Agreements and Awards-Harmonization or Divergence? London 19/04/2012 Teresa Giovannini Speaker: A view from the outside on anti-arbitration injunctions – compared practices. Geneva 11/11/2011 Teresa Giovannini Speaker: The practice of arbitration in cultural property matters. Milan 27/06/2011 Teresa Giovannini Speaker: Devono le istituzioni arbitrali avere una pubblica funzione? Seoul 04/03/2011 Teresa Giovannini Panelist: Ex officio powers to investigate the facts: when do arbitrators cross the line? Washington DC 28/09/2010 Teresa Giovannini Speaker: When do arbitrators lose their power to decide (or become functus officio)? Is there international consensus? New York 24/03/2009 Teresa Giovannini Speaker: The international arbitrator’s point of view? Arbitrators: Private Judges, Service Providers or Both? Paris 04/02/2005 Teresa Giovannini Speaker: Qui contrôle les pouvoirs des arbitres : les parties, l’arbitre, ou la Cour d’arbitrage ?